On March 5th, the Worcester, Massachusetts Men’s Conference which started as the nation’s first single-diocese Catholic men’s conference, will be discussed on the CatholicTV talk show “This is the Day”. 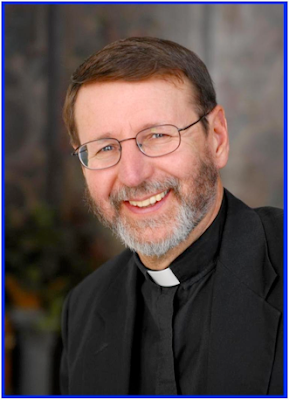 The 2010 Worcester Men’s Conference will include talks by Fr. Mitch Pacwa, Matthew Kelly, Jesse Romero and others. Msgr. Tom Sullivan, Chancellor of the Worcester Diocese and Angelo Guadagno, Coordinator of the Worcester Men’s Conference will discuss the upcoming conference on This is the Day. This is the Day airs at 10:30AM ET at CatholicTV.com and on CatholicTV. CatholicTV will introduce a new schedule in March which will include several new programs such as “Facing Life Head-On”, a pro-life program which airs weekly in over 100 million homes. Show host Brad Mattes is pictured to the left. CatholicTV’s new schedule will also include the show “The Joy of Music” featuring internationally-known organist, Diane Bish. In each episode of The Joy of Music, Miss Bish performs on historic organs in magnificent cathedrals around the world. Miss Bish's television program The Joy of Music is broadcast to over 300 million people around the world each week. The show combines exhilarating organ and ensemble performances with an informative, inspirational narrative combined with exciting world travel. CatholicTV’s new schedule also includes the new program “School of Faith”. The new show revolves around different dimensions of faith including vision, purpose, community, and surrender. School of Faith is hosted by Frank DeVito. Frank currently works in education and studied philosophy and social science at Saint John's Seminary College. He attended Gregorian University in Rome, Italy where he studied theology. In each episode of School of Faith, DeVito shows how believers can allow God to transform their hearts and minds using vision, purpose, community, and surrender. Starting in March, The Joy of Music will air each week at the following times (Eastern): Monday at noon, Tuesday at 1AM, and Sunday at 7:30PM. During the week beginning March 1st, two Catholic priests, Fr. Bill Kelly and Fr. 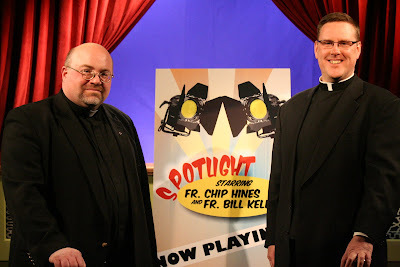 “Chip” Hines, co-hosts of the CatholicTV movie review show “Spotlight”, will share their opinions of Oscar winners and will offer commentary in preparation for the upcoming 82nd Annual Academy Awards on March 7th, 2010. Fr. Bill and Fr. Chip will predict winners for best picture, director, actor, actress, supporting actor, and supporting actress during this episode of Spotlight. The idea of the Spotlight show originated when a fellow priest overheard Fr. Chip and Fr. Bill arguing about whether Amy Ryan deserved a nomination for Best Supporting Actress in 2008. The priest who overheard them said, “you two should have your own show”. Spotlight premiered on CatholicTV as part of the 2009 fall season. The show has gained national attention and the two priests were invited to make a monthly appearance on Wendy Wiese’s ON CALL Relevant Radio show. This special Oscars episode of Spotlight will air at CatholicTV.com and on CatholicTV during the week of March 1st at the following times (Eastern): Mon 6 p.m., Thurs 8 p.m., Friday, 6 a.m. Sat 12 noon and 10 p.m.
CatholicTV will air the 2010 Boston Women’s conference which takes place on February 27th. The Conference will include talks by author Donna-Marie Cooper O’Boyle (a friend of Mother Teresa’s), Leah Darrow (featured on the reality show “America’s Next Top Model” before her conversion), Patti Mansfield (Charismatic Renewal pioneer) and Sister Olga Yaqob who has been called “The Mother Teresa of Baghdad”. The conference will air on CatholicTV at 3PM on February 27th and again at noon on February 28th (Eastern Time). Coverage will include the talks and Mass with Cardinal Séan O’Malley, Archbishop of Boston. The Boston Women’s Conference will be viewable at CatholicTV.com and on CatholicTV cable outlets. Patti Gallagher Mansfield was a participant in the February 1967 "Duquesne Weekend" which marked the beginning of the Charismatic Renewal in the Catholic Church. From the earliest days of the Renewal, she has served as a leader through teaching, writing, and pastoral ministry. 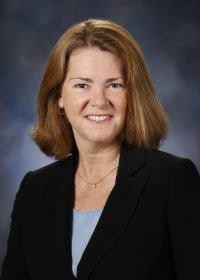 Patti’s testimony has been widely published and she has been a speaker at conferences and retreats for laity and priests in the United States and around the world. She is a frequent guest on Ralph Martin’s television program: The Choices We Face. Donna-Marie’s decade-long friendship with Blessed Mother Teresa of Calcutta led to a long correspondence and meetings around the world. Following in the footsteps of Blessed Teresa, Donna-Marie became a lay Missionary of Charity and founded a branch of the lay Missionaries of Charity. Today, Donna-Marie is passionate about encouraging others to follow in the footsteps of her blessed friend by caring for the poorest of the poor. Not too long after college, Leah made her TV debut on Season 3 of the hit reality TV Show, America’s Next Top Model. Having modeled briefly before, Leah became swept away by the fashion industry and soon came to realize its dark depths and the suggestive nature of where her new career was trying to take her. Leah’s “prodigal daughter” experience happened in the abyss of New York City, in the midst of the madness, the craziness, and the lonely; she found her way back to Christ. Sr. Olga Yaqob was born and raised in Iraq. When she was 13 years old, a war between her native Iraq and Iran began. The horrific conditions of that war that she witnessed shaped her decision to become a nun. With her great love and devotion to Jesus, Sr. Olga joined the order of The Missionaries of the Virgin Mary. Sometime after becoming a nun in 1995, Sr. Olga received permission from the Assyrian Catholic Church to start her own order in Baghdad, where she was already leading a service-oriented religious outreach called Love Thy Neighbor. She is known as the "The Mother Teresa of Baghdad". Coming to the United States in 2001, she studied at Boston University and finished her Masters degree in Ministry and Spirituality at Boston College. She currently works full-time in campus ministry at Boston University and is a widely desired speaker and retreat leader. 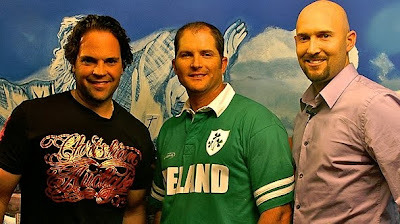 On February 26th, Christian artist Paul Crimi will be interviewed on the live CatholicTV talk show “This is the Day”. Paul is a painter, printmaker, and sculptor who considers his artworks forms of “visual prayer”. This is the Day will air at 10:30AM ET at CatholicTV.com and on CatholicTV. "My work, since 1996, gives witness to an inner reflection of a true spiritual conversion, outwardly manifested is a positive expression of the power in the revelation of Jesus Christ . When I'm creating a piece, whether it's a drawing, a painting, or a print, it's a way for me to contemplate my blessings. I characterize each and every one of my works as a visual prayer. "As a Christian and an artist, I agree with the words of William Blake, "The worship of God is honoring his gifts in other men, each according to his genius." All artists have come close to this kind of worship in their acknowledgement of the gifts of the masters. But it is only when one goes beyond himself as I have, in becoming part of the mystical body of Jesus Christ, that one really begins to see the real essence of truth. Paul also says on his website that "Reading the Bible, which for me has become a living dialogue with Christ who is the Word, has opened up new visions beyond conceptual projections. My life, as a result, has changed in a positive way; I now can see beauty in reality and am able to invent new expressions for my artwork. On February 23rd, Lisa Hendey will be interviewed on the CatholicTV talk show “This is the Day”. 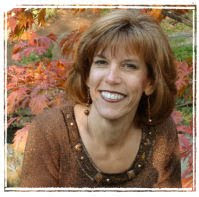 Lisa will discuss her new book, “The Handbook for Catholic Moms” which was just published in February 2010. Her live interview will take place at 10:30AM ET. Lisa is a Catholic mother, author, and founder of CatholicMom.com. In her new book, Lisa draws from the deep tradition of the Catholic faith, and coaches Catholic moms on how to care for themselves―heart, mind, body, and soul―so that they can better love and care for their families, their neighbors, and their Church. In her book, Lisa creates an environment where Catholic moms can reflect peacefully upon often-competitive topics like parenting style, types of schooling, and working outside the home. By sharing her own story, Hendey inspires readers to better balance their own needs with the demands of family life and faith commitment. Starting March 2010, CatholicTV will air a new season of “The Joy of Music” hosted by internationally-known organist Diane Bish. In each episode of The Joy of Music, Mrs. Bish performs on historic organs in magnificent cathedrals around the world. Starting in March, “The Joy of Music” will air each week at the following times (Eastern): Monday at noon, Tuesday at 1AM, and Sunday at 7:30PM. Miss Bish's television program The Joy of Music is broadcast to over 300 million people around the world each week. The show combines exhilarating organ and ensemble performances with an informative, inspirational narrative and exciting world travel. After twenty-five years of continuous broadcast, The Joy of Music is one of the longest running television programs still in production with new programs taped, edited and broadcast each year. The Joy of Music library boasts over 500 episodes featuring famous cathedrals, concert halls, churches and organs. Diane Bish began her study with Dorothy Addy in Wichita, Kansas, and continued as a student of Mildred Andrews. She was a recipient of Fulbright and French government grants for study in Amsterdam and Paris with Nadia Boulanger, Gustav Leonhardt and Marie Claire Alain. 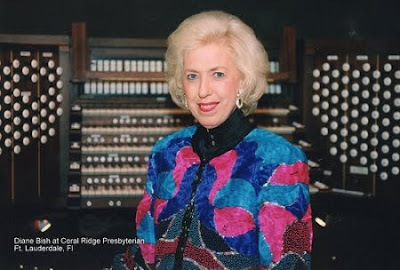 Diane Bish: First Lady of the Organ by Warren Woodruff was published in 1993. Starting in March, CatholicTV will air a new series called “School of Faith”. The new show revolves around different dimensions of faith including vision, purpose, community, and surrender. School of Faith is hosted by Frank DeVito. Frank currently works in education and studied philosophy and social science at Saint John’s Seminary College. He attended Gregorian University in Rome, Italy where he studied theology. 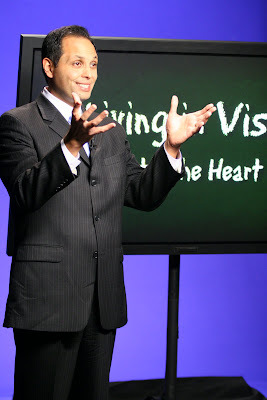 In each episode of School of Faith, DeVito shows how believers can allow God to transform their hearts and minds using vision, purpose, community, and surrender. Since Frank’s background is in education, the show is set in a virtual classroom to teach how to deepen viewers’ understanding of God’s calling in their lives. Frank does this by following the model of Jesus; using cultural stories and symbols of the day to communicate the nature of faith. Starting in March, School of Faith will air each week at the following times (Eastern) at CatholicTV.com and on CatholicTV: Tuesday 3:30 a.m., 8 p.m., Wednesday 3:30 p.m., Friday 12:30 p.m.& 11 p.m., and Sunday 10 p.m.
Frank has extensive experience in public education. He co-founded two innovative high schools for at-risk students that utilized project-based curricula and assessments that were linked to professional internships (local hospitals, universities, law offices, and community/government agencies). As both a teacher and a school leader, he inspired Chelsea, Massachusetts students to graduate and move on to post-secondary education. Frank also pursued doctoral studies in bilingual education (specializing in culture, language, and administration) at Boston University. 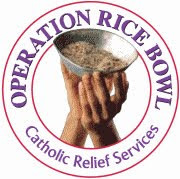 During Lent, CatholicTV will air videos promoting Operation Rice Bowl (ORB), a Catholic Relief Services (CRS) program which helps the poor overseas as well as in the United States. Some of the videos were shot in the countries where CRS is focusing much of its efforts. The ORB promotional videos will air at CatholicTV.com and on CatholicTV throughout the season of Lent. ORB began in 1975 in the Diocese of Allentown, PA as a response to the drought in the African Sahel. For 34 years, ORB has called participants to pray with their families and faith communities; fast in solidarity with those who hunger; learn about the global community and the challenges of poverty overseas, and give sacrificial contributions to those in need. CRS’ website offers a detailed Lenten schedule full of fasting, praying, and almsgiving on their website at http://orb.crs.org/. Seventy-five percent of ORB gifts will go to CRS to help farmers in Bolivia receive training to improve crop yields, children in Afghanistan gain more opportunities for quality education, communities in Ethiopia access reliable water sources even during times of drought, and fund many other vital projects. 25% of what’s raised in the Operation Rice Bowl stays within each (arch)diocese to support local hunger and poverty alleviation efforts. Catholic Relief Services was founded in 1943 by the Catholic Bishops of the United States to serve World War II survivors in Europe. Since then, we have expanded in size to reach more than 100 million people in more than 100 countries on five continents. The mission of CRS is to assist impoverished and disadvantaged people overseas, working in the spirit of Catholic Social Teaching to promote the sacredness of human life and the dignity of the human person. Although our mission is rooted in the Catholic faith, our operations serve people based solely on need, regardless of their race, religion or ethnicity. Within the United States, CRS engages Catholics to live their faith in solidarity with the poor and suffering of the world. As the official international humanitarian agency of the U.S. Catholic community, CRS is governed by a Board of Directors made up of clergy, most of them bishops, religious and Catholic lay men and women. 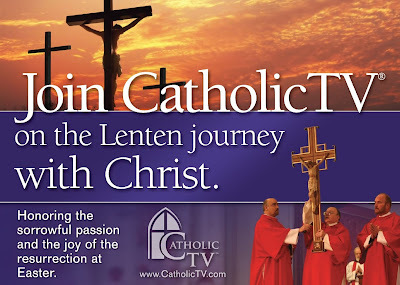 Lent will begin on February 17th (Ash Wednesday) and that marks the beginning of special Lenten programming on CatholicTV. This special programming will include “Hill Number One”, the film in which James Dean made his film debut. The Lenten programming will also include programs starring Fulton Sheen. Coverage of Vatican events with Pope Benedict XVI will also be a part of the Lenten and Holy Week on CatholicTV. This Lenten programming can be seen via live stream at CatholicTV.com and on CatholicTV. Good Friday (April 2) Cathedral of the Holy Cross, Solemn Liturgy of the Lord’s Passion 3PM, Vatican Good Friday Service 5PM & Way of the Cross 8PM. Also a Good Friday special hosted by Fulton Sheen will air at 11AM. Easter Sunday (April 12th) Notre Dame Mass 10AM, Vatican Noon; Boston 7PM; Vatican again at 8PM. On February 19th, Fr. Andrew Gawrych, CSC will be interviewed on the CatholicTV talk show “This is the Day”. Fr. Andrew and Kevin Grove, C.S.C. edited the book “The Gift of the Cross: Lenten Reflections in the Holy Cross Tradition”. During his interview, Fr. Andrew will discuss the Lenten season as well as the book and the reflections it contains. This is the Day airs at 10:30AM EST at CatholicTV.com and on CatholicTV. Fr. 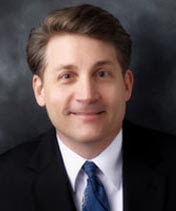 Andrew Gawrych, C.S.C. was ordained a priest in the Congregation of Holy Cross in 2008. 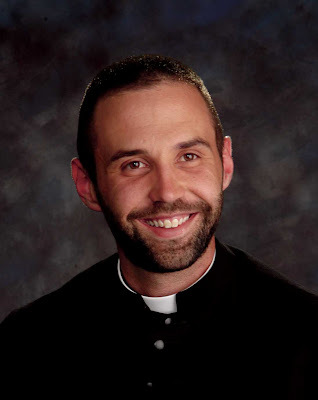 He currently serves at St. John Vianney Catholic Church in Phoenix, Arizona. He and Kevin Grove, C.S.C, edited the book The Cross, Our Only Hope: Daily Reflections in the Holy Cross Tradition. Following on the success of The Cross, Our Only Hope, “The Gift of the Cross: Lenten Reflections in the Holy Cross Tradition offers daily reflections written by different members of the Holy Cross community and places a finger on the pulse of the congregation's spirituality. Lenten wisdom and moving stories emerge from the ministry of priests, brothers, and sisters including Theodore M. Hesburgh, C.S.C., John I. Jenkins, C.S.C., and Mary Ellen Vaughan, C.S.C. During the week of February 15th, “The Commons”, a Catholic music show which airs on CatholicTV, will feature musicians Jaime Cortez and Santiago Fernandez. Jaime and Santiago will sing the songs “Con Amor Jovial” (With Cheerful Love) and “No Hay Dicho Ni Palabras” (There is No Saying Nor Words) during the show. Born in New York and raised in El Salvador, Jaime Cortez is fluent in both English and Spanish. Jaime has made presentations at the Los Angeles Hispanic Liturgy Conference, the Southwest Catechetical Leadership Conference and National Pastoral Musicians Conferences, as well as local events for the Diocese of Phoenix. In addition to workshops, Jaime gives concerts with both English and Spanish repertoire, alone or with volunteer groups. His main instrument is guitar, although he is proficient in piano and other stringed instruments such as charango, vihuela and bass guitar. Jaime earned a bachelor's degree in Music Composition from Arizona State University. 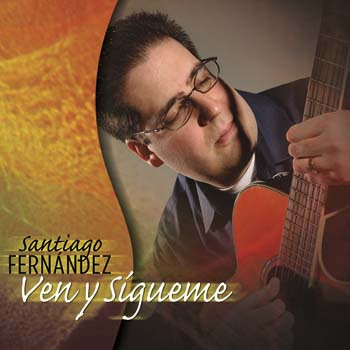 Santiago Fernández has been active in parish music ministry for the past 20 years. He is currently Music Minister at St. Michael Parish in Pontiac, Michigan, where he directs the English and Spanish choirs. 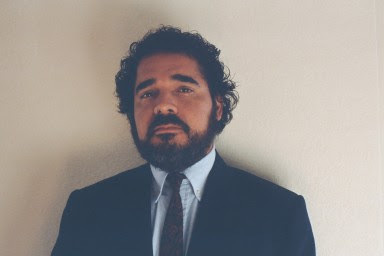 Santiago is also a frequent speaker and workshop presenter at events and conferences around the country in the area of Hispanic liturgical music. Santiago has been a member of the National Advisory Council to the United States Conference of Catholic Bishops (USCCB), music director for the National Catholic Council for Hispanic Ministry (NCCHM) and liturgy and prayer coordinator for the First National Encuentro for Hispanic Youth and Young Adult Ministry 2006. He has also participated at various events of the Archdiocese of Detroit as guest conductor, cantor and consultant. An exclusive video of sisters from The Council of Major Superiors of Women Religious (CMSWR) has just been added to the CatholicTV.com video collection. This video features sisters from several different orders. These orders are experiencing growth on a worldwide scale in great contrast to marked decline in vocations elsewhere. The video features footage of sisters talking about what Vatican II said about consecrated life, and how that vision is being lived out today by American religious sisters. In the video, the sisters from the CMSWR articulate how their perspective is in keeping with the vision set forth by Vatican II, suggesting that its commitment to a more visibly countercultural life and ministry is what sustains its orders and attracts young women to the CMSWR communities. Segment 1) Introduction: Sister Angela Mellady, O.S.F. Segment 2) Overview: Sister Mary Nika Schaumber, R.S.M. Segment 3) A Particular Form of Consecrated Life: Sister Mary Elizabeth Wusinich S.V. Segment 4) The Spousal Bond: Sister Paul Jean Miller, F.S.E. Segment 5) The Threefold Response of The Vows: Sister Mary Dominic Pitts, O.P. Segment 7) Evangelical Mission: Sister Maximilia Um, F.S.G.M. Segment 8) Conclusion: Sister Mary Judith O’Brien, R.S.M. Segment 9) Closing Remarks: Sister Angela Mellady, O.S.F. On February 12th, Dr. Peter Kreeft will appear in-studio on the live CatholicTV talk show “This is the Day”. Dr. Kreeft will talk about Catholic apologetics and will also discuss the book he co-authored with Father Ronald Tacelli, S.J., “Handbook of Catholic Apologetics”. Dr. Kreeft was formerly a Calvinist and converted to the Catholic faith; he has served on the faculty at Boston College since 1965. The interview will air at CatholicTV.com and on CatholicTV at 10:30AM ET. The show will also be rebroadcast the same day at 8PM, and will also be added to the CatholicTV.com archives for viewing anytime. 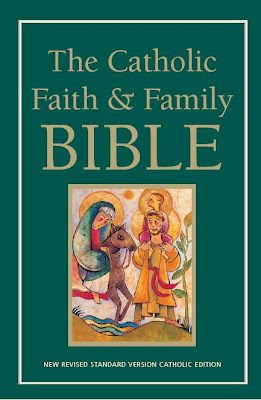 On February 5th, the “Catholic Faith and Family Bible” will be discussed on the CatholicTV talk show “This is the Day”. This new bible is the first of its kind and includes commentary and footnotes especially designed for families and uses the NRSV bible approved for study by the United States Conference of Catholic Bishops (USCCB). This episode will air on CatholicTV.com and on CatholicTV at 10:30AM ET on February 5th. Our Sunday Visitor. Leif is the Project Coordinator of Family and Intergenerational Ministry Services at the Center for Ministry Development. Also to be discussed on “This is the Day” on February 5th will be the upcoming Rhode Island Catholic Men’s Conference and the Religious Educator’s Conference. 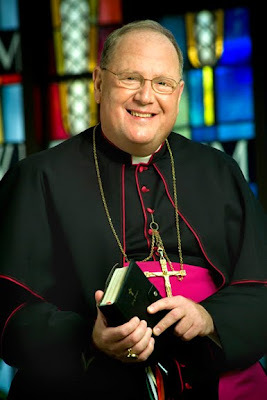 The Men’s Conference will feature speakers Cardinal Séan O’Malley, Archbishop of Boston (MA), and Bishop Thomas Tobin, the Bishop of Providence, Rhode Island. Lisa Gulino will be in the CatholicTV studios to discuss the upcoming conferences. She is the Director of the Diocese of Providence Office of Religious Education.